There’s an adage that shoppers vote with their feet, and it can be argued that with the increased use of Smartphones, shoppers are voting with their fingers. Retailers have long wrestled with the balance of generating traffic and having shoppers visit only to ultimately go buy somewhere else. This practice, sometimes called Showrooming, is mostly a reflection of the intelligence and desires of buyers. Using any Smartphones and either a specialized app or even a simple web browser, it’s much easier for consumers to compare prices and products while they are in a brick and mortar outlet. It might be assumed that shoppers who use their Smartphones to compare products and pricing are low spenders. In fact, the opposite is true. Based on recent primary research by MetaFacts as part of our Technology User Profile (TUP) service, we’ve found that tech spending levels are 37% higher among these careful buyers than the average Smartphone user. Furthermore, tech spending levels are 81% higher than the average Internet-connected adult. 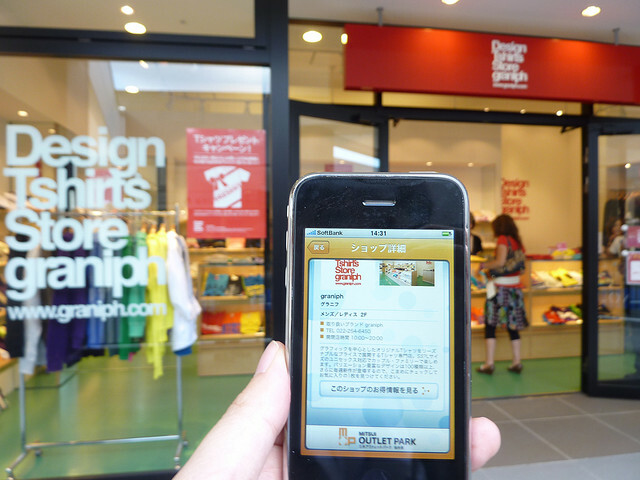 These active buyers are also unique in many other ways, and augmented in-store comparison is an important and long-time growing trend to reckon with. These results are based on the most recent wave of Technology User Profile, the TUP 2013 edition. The large-scale survey is in its 31st continuous year, documenting and detailing the full scope of technology adoption and use. For this analysis, MetaFacts is sharing the answers to two key survey questions. The TUP survey gathers tech spending levels for both tech products and ongoing tech services, and split out between types of consumer electronics, computers, imaging, Internet, and other categories. The survey also details what consumers actually do with their many tech devices, including the product and price comparison they do within retailers. In addition to tracking the regular activities of Smartphones, Technology User Profile details the many devices which online adults use to regularly connect to the Internet. The survey-based research details what people do with their devices, where they spend their technology dollars, and how often they update (or don’t update) their technology products. Technology companies who want to know more about retail or online shoppers, Smartphone users, or about their current or future customers can contact MetaFacts to learn how to subscribe to the rich resources of Technology User Profile. On April 8th, 2014, Microsoft will discontinue extended support for Windows XP. There is a substantial installed base of Home-owned Windows XP PCs being actively used in the U.S. These users are not just a handful of stragglers, hanging on to get the last nickel of value from their old, tired PCs. In fact, they are active users of a wide variety of tech products and also big spenders on digital media, tech services, and consumer electronics. 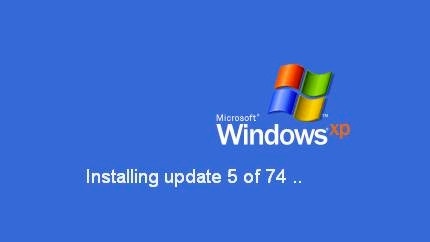 Based on the latest research from MetaFacts, one in six (17%) Connected US Adults are using a Windows XP Home PC as their primary PC. Just over one-fifth (21%) of Connected US Adults are using a Windows XP Home PC as their primary or other connected Home PC. Although the Windows XP Operating System was released in 2001, it continues to remain in active use following the release of more than one version of Microsoft Windows. Home XP PC users are regularly using their PCs for a wide range of activities, and most are using other PCs, Smartphones, Tablets, and other connected devices in addition to their Windows XP Home PC. The full TUP research details the demographics, behavioral, and tech usage profile characteristics which uniquely differentiate this market segment. For this analysis, two types of Home Windows XP PC-using adults were defined: “Any Windows XP Home PC” which are those adults who use a Home-owned Windows XP PC as any of their connected devices and “Home PC #1 – Operating System Version” which are those individuals who use a Home-owned Windows XP PC as their primary PC (the PC which they use the most often). An active connected device is defined in TUP as one which has been connected to the Internet to check email or to open an Internet browser in the prior 90 days. In addition to tracking the operating system of actively used connected devices, Technology User Profile details the many devices which online adults use to regularly connect to the Internet. The survey-based research details what people do with their devices, where they spend their technology dollars, and how often they update (or don’t updated) their technology products. Technology companies who want to know more Windows XP users, or about their current or future customers can contact MetaFacts to learn how to subscribe to the rich resources of Technology User Profile. Connected adults are very connected, with one out of three (34%) regularly using 4 or more Internet-connected devices. Research results from the forthcoming 2013 edition of Technology User Profile (TUP) detail the many devices online adults use to regularly connect to the Internet. In addition to sizing the market, the survey-based research details what people do with their devices. It reports which activities adults primarily use with which device. For example, TUP reports which market segments use their Smartphones or Desktops as their primary communication device, as well as which devices are primarily for fun, shopping, graphics, and other types of activities. 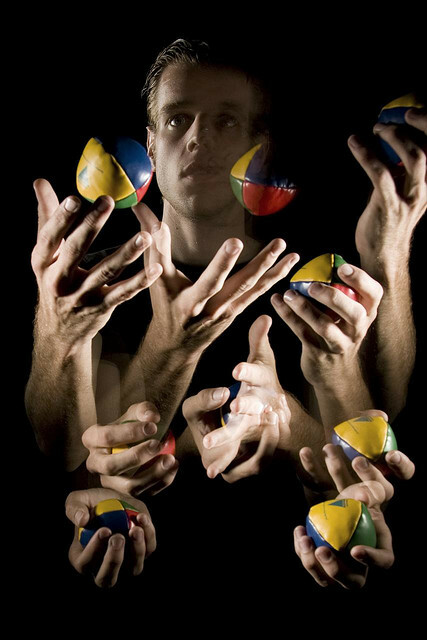 Juggling is becoming an important skill.